Maybe because it’s close to Halloween, maybe because the world is spinning off its axis straight into hell, but creepy clowns have become the theme of Fall 2016. And I don’t just mean Donald Trump and his sons—ba-dum ching! With the many real and fake creepy-clowns reports, it’s tempting to put on a cheap mask and join the fun. Don’t. 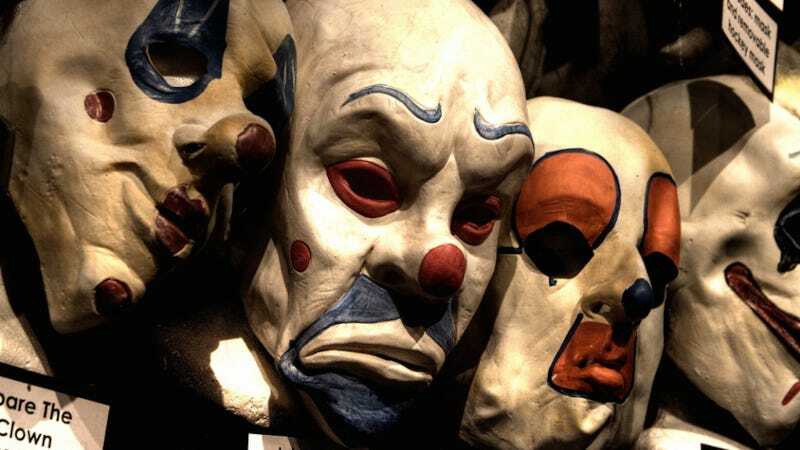 A teen in Berlin learned this the hard way when he ran at a group of acquaintances in the street on Tuesday, dressed as a threatening clown. The Guardian reports that the 16-year-old was also swinging a hammer, which helps to explain why a fellow teen took out a knife and stabbed him. Once he realized it was only his idiot friend trying to attack him with a hammer, he helped with first aid until medical help arrived. The teen clown was taken to the hospital, and the stabber was released to his parents. The Berlin police have reminded their citizenry that scaring other people, especially with threats of violence, is still a criminal offense even if you have a big red nose. Let this be a lesson to us all: IRL memes are fun until someone gets stabbed.